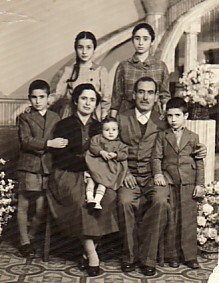 Above: The Karvounis family. With his wife, Irini, and their children: Petros, Parthenopi, Maria, Chrysa and grigorios. 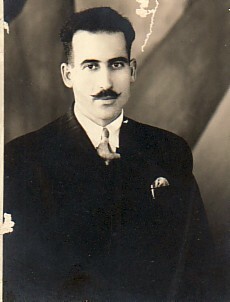 Despina had already migrated to Australia when this photograph was taken. Above Right: With friends. 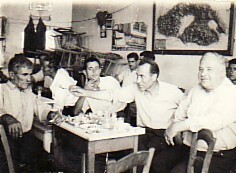 L-R: Panagiotis Mavridis, Nikos Bellas, Georgios himself, and Nikos Orphanos. Above: Working at the Athens Bakery in Redfern. 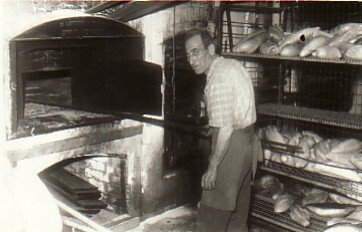 Georgios worked there for twenty years (1962-82). 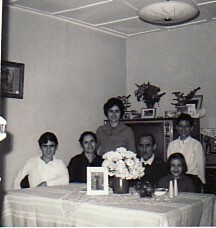 Above Right: With his wife, Irini, and their children, Petros, Chrysa, Grigorios and Maria. 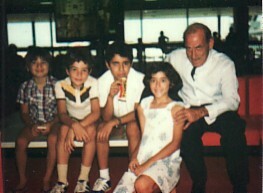 Above: With his grandson, Georgios Karvounis, Georgios Simos, and his grandchildren, Ioannis and Irini Armenaka. 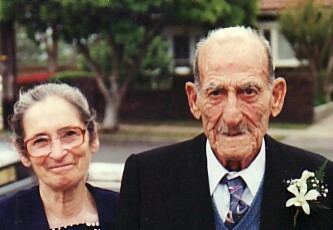 Above Right: With his wife, Irini.